Girl Unknown: The unputdownable SUNDAY TIMES BESTSELLER with a heart stopping twist . 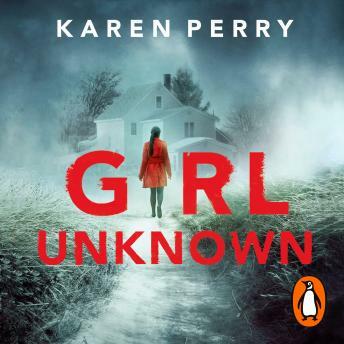 . .
Penguin presents the unabridged, downloadable, audiobook edition of Girl Unknown by Karen Perry, read by Conor Maloney, Tracy Keating and Richard Flood. When first-year student Zoë Barry walks into Professor David Connolly's office and tentatively says these words, he is left reeling. But it is the lives of his family - particularly his wife Caroline - which are turned upside down by the arrival of this stranger. A daughter, a sister, a friend . . . an enemy? Though no one knows quite who Zoë is, she is soon entangled in their lives. Yet her stories don't ring true and Caroline is determined to learn if the girl is the unlucky innocent she claims to be or someone with a far darker agenda. A deadly cuckoo in the nest . . .
Because by letting Zoë in, David and Caroline aren't just leaving themselves vulnerable. They're risking the most precious thing in the world - the lives of their children . . .